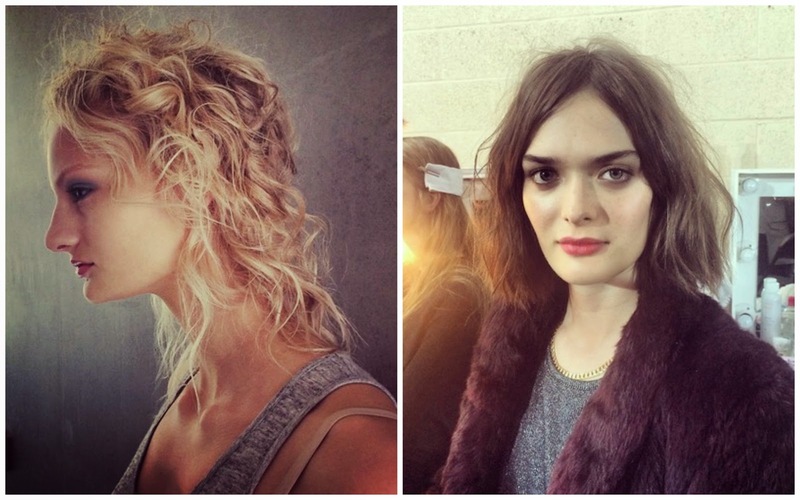 Well, so far, some amazing hair for London Fashion Week SS2015. We've been given, as usual, beautiful, bizarre and bold looks both on and off the Catwalk. I've been loving the updates from bloggers, press and stylists social media feeds. First up, my favourite of LFW. 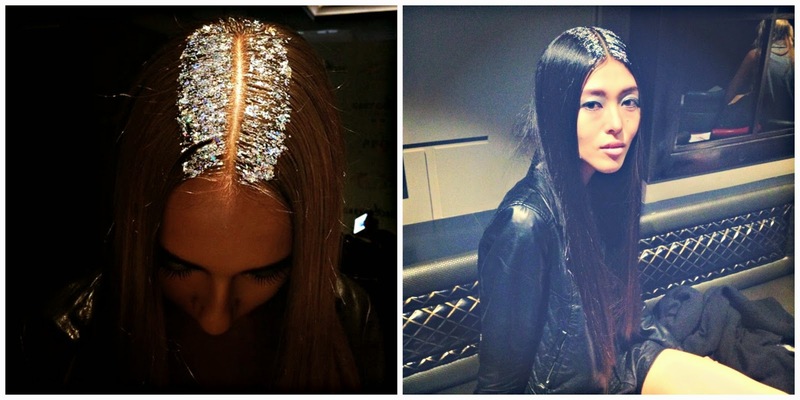 I think the glitter parts on the PPQ Spring/Summer 2015 collection catwalk looked amazing. Heralded as a 'modern tiara' I think this would work so so well for the upcoming festivities - such an easy update for the hair. The centre was strong, with the lengths kept straight and smooth. 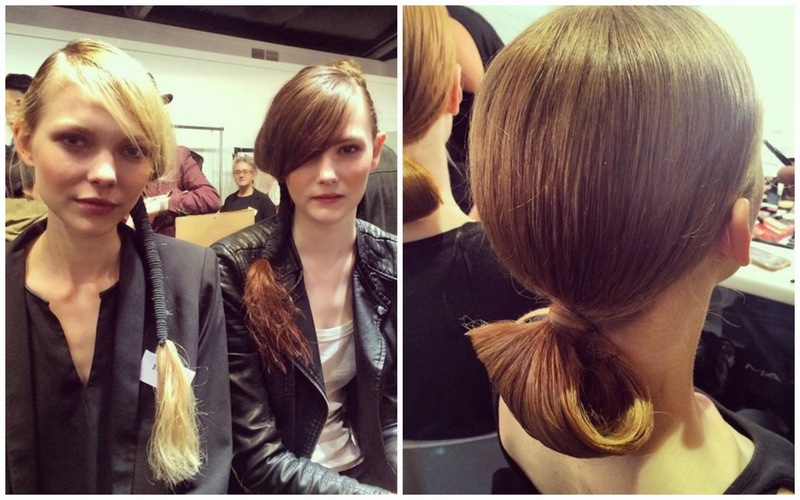 Good work Sacha Mascolo-Tarbuck and the TONI & GUY team! TONI & GUY as always, thanks to the amazing stylists and teams created some fantastic hair to accompany the clothes. In particular Paul Costelloe and team with their gravity defying candyfloss beehives, and also Chie Sato for Ong-Oag Pairam with beautiful origami-esque knots and polished twists. It has to be said this year, intricate detail mixed with textured relaxed looks seemed to be favoured by stylists and their teams. 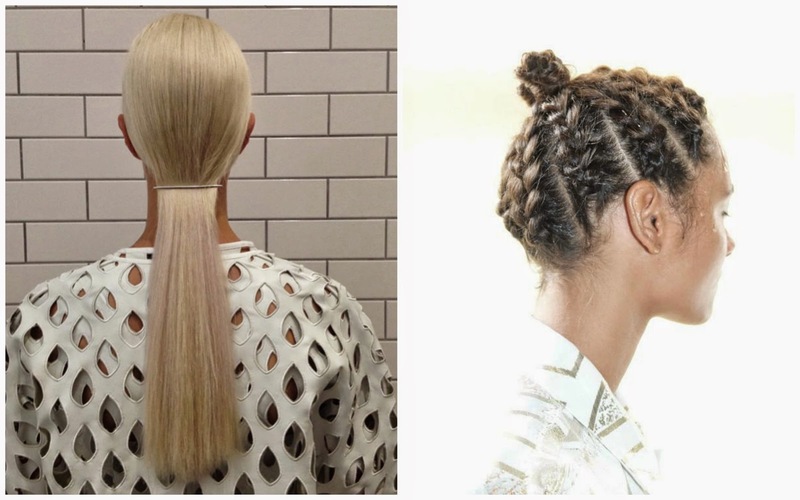 Bumble and bumble being one of the teams that went from detailed braiding to simple barette clip ponytails, both of which had impact. James Pecis kept things simple for Whistles, such a clean look! And Bianca Tuovi (One of my favourite stylists ever since her My Little Pony rainbow braids) gave Teatum Jones cornrows and braided buns. Loreal Professional went for texture. Stephen Low & Neville Salon with David Bowie inspired mullet worn textured, and Anthony Turner and team creating a 'teenage girl causing trouble in Blackpool' This is such a fantastic look, and easy to recreate using a couple of sea salt sprays, or texturising products. Special mention also to KMS California for Boro Asku - I loved the fabric wrapped ponytail, Very equestrienne. And also, Alex Brownsell, BLEACH London for Shrimps, for a shell inspired up do that I can see being very popular on the high street. So my predictions for hair trends? I think it'll be two very different ends of the scale. 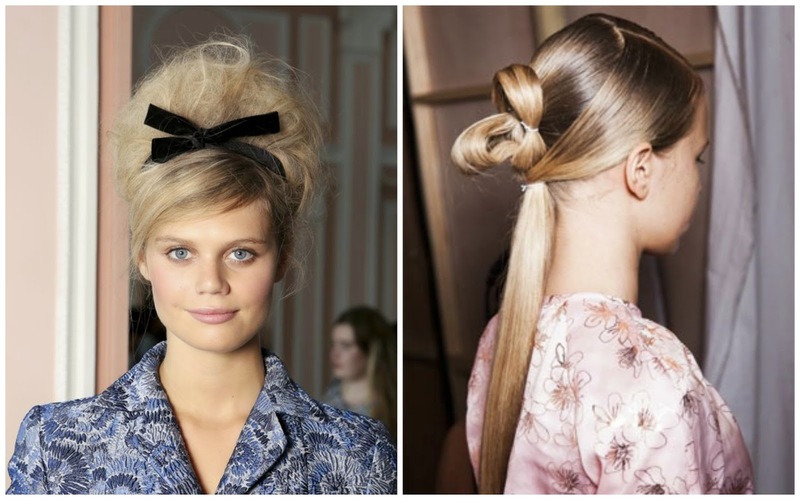 Either super polished and slick styles, such as the barette clip ponytails showcased by Bumble and bumble. Or we'll see the gorgeous textured look seen on the Antipodium catwalk by Stephen Low & the Neville Salon team. Braids as always will be huge, bit with a definite messier finish. Accessories are kept to a minimum and long hair is back. Final day tomorrow promises some great shows to finish what has been an inspirational creative LFW. Want to see who my LFW SS14 favourites were?